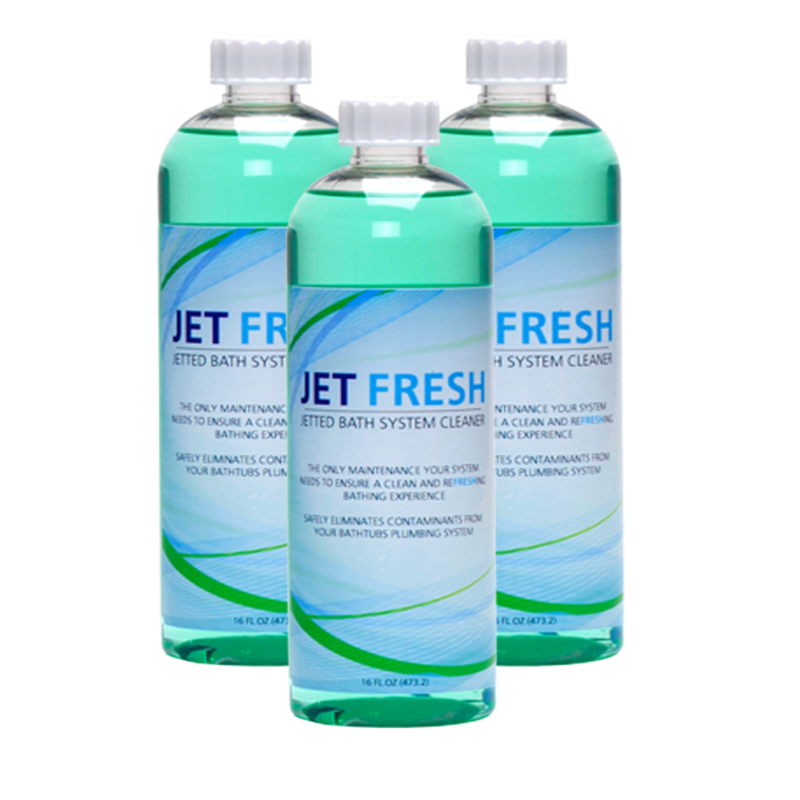 Jet Fresh is our original cleaning solution formulated to help keep your bathing system clean and functioning at its optimal level! Due to residual water from elements such as exfoliated skin, body oils, hair and soap residue, contaminants can build up overtime and remain in the piping system. These containments make your bathing experience less sanitary and makes your bath system not run as smoothly as it should. Regular usage of Jet Fresh eliminates contaminants and ensures that your system stays operating like new! This product is safe and easy-to-use on all Airbath, whirlpool, and combination systems.